Showing results for tags '525'. 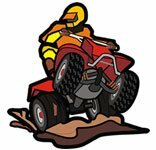 I am actually looking to purchase two quads within the next 6 months. One utility, one sport. However, I am up in the air between Yamaha vs Polaris and what engine size to get. Speed is good, power is good and price is always a factor but no too worried in the end. 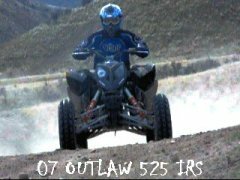 Also, factoring this decision will also be based on the sport quad I purchase which, shocker, Yamaha YFZ450x or Polaris Outlaw 525 IRS. I honestly don't know which brand to purchase. I will not be racing at all but wouldn't mind hitting a track if available just to mess around in and most of my riding will be Northern Minnesota trails, groomed trails at that. Sorry this was a lengthy read and I am sure these quads have been talked about before but this is my first time on this site ever. Thanks for your thoughts and don't fry me too bad. I know these sport quads are somewhat apples to oranges but let me hear your thought anyways. I have to take my motor completely apart on my 525 Outlaw with the KTM motor. Any suggestions on mods while I have it apart?